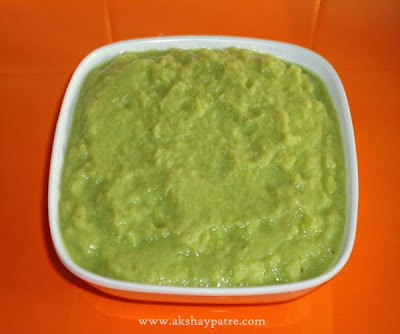 Ginger garlic paste recipe - Ginger garlic paste is one such ingredient which I need almost everyday all around the year. This versatile paste has health benefits especially on digestive system. It's flavor enhancing and taste increasing quality make it a popular, essential ingredient in day to day cooking. Instead of grinding in small quantity on daily basis, this storable paste can be prepared in advance. This can be stored in the fridge for over a week. I use this paste especially for subzis and marination. Wash the ginger and pat to dry. Peel and chop the ginger into small pieces. Peel of the garlic skin. Wash and pat to dry the green chillies if you sre using it. Chop them into large pieces. Put together the ginger, garlic and green chillies in a mixer jar. Grind it to a smooth paste with minimal water. Whip it several times to make the paste very smooth. Transfer this paste to an airtight container and store in the refrigerator. 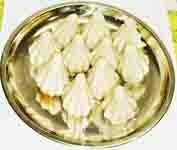 This ginger garlic paste can be stored for about a week..